Rabbi Shimon used to say, "Three that eat at the same table without discussing words of Torah, it's as if they are eating from the sacrifices of the dead [idols] i.e. dead sacrifices, like it says, '...for all their tables were full of vomit and filth, without G-d' (Isaiah 28:8). However, three that eat at the same table and discuss words of Torah, it is as if they are dining with the Divine Presence for it says, 'He said to me, 'This is the table that is before G-d' (Ezekiel 41:22).'" Rabbi Shimon called a group of men huddling together for prate and plate while neglecting to bring G-d into the conversation a pity. He considered it such an offense, in fact, that Rabbi Shimon compared it to taking a big bite out of the sacrifices of dead gods. According to Judaism, even in the most mundane of situations bringing G-d to the table is tantamount. Dinner is not meant to be "organized gluttony" (Irving Bunim). Quite the contrary, it's an uplifting experience for the man who knows how to access transcendence. A talmid (student) once asked his rabbi, "Rabbi, what difference is there in holiness between you and I? We both make brachot (blessings) over food before we eat it." The Rabbi replied, "Yes, it's true. But I eat to make a bracha and you make a bracha to eat." Since idols were made from sticks and stones, they couldn't exactly be called dead. Why? They were never alive; and one who lives a religion based on fantasy is setting himself up for spiritual dysfunction. The Greeks created gods with exaggerated human deficiencies and this gave them an excuse to act as obnoxiously as they pleased. A goddess like Aphrodite was not created by the minds of women. What does the table represent? When the Holy Temple stood, people offered animals up to G-d at the mizba'ach, altar. Afterward, sections of the animal (this depended upon which korban, sacrifice, was brought), were divided between the priests and the bringers of the sacrifice. However, since we don't have a holy temple nowadays, our kitchen and dining tables suffice as the proper places for the Divine Presence to reside, at least during mealtimes. Instead of offering an animal in tribute to G-d and thereby drawing close to Him, we sanctify the food we eat by blessing it, and we sanctify the table by discussing His holy Torah. In order to consider the table one eats at as a shulchan, table, before G-d, one must include any of the following in his conversation. 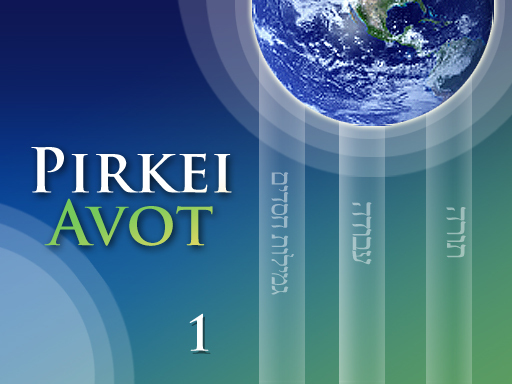 Tanach – Torah (the five books of Moses), Nevi'im (prophets) and ketuvim (the writings). Other commentaries say, instead, mikrah (the written law i.e. the Fives Books of Moses), mishna and gemara (a compilation of writings from the oral law).